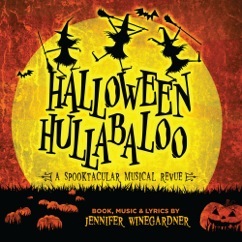 Halloween Hullabaloo: This CD is chock full of brand new Halloween songs about insecure monsters, obese vampires, candy cornaholics, feisty pumpkins, beauty-obsessed monstresses and more. The songs are sung by Broadway and Off Broadway performers and are sure to become traditional favorites that you listen to year after year. 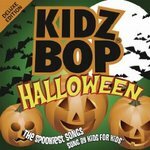 Kidz Bop Halloween: A collection of scary songs sung by kids! This album has 16 tracks of remixed classic Halloween tunes, such as Monster Mash and Ding Dong The Witch is Dead. Besides the awesome music, it contains tons of exciting sounds effects and extras. Parents and children will love it! 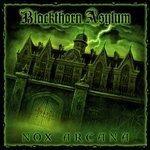 Nox Arcana - Blackthorn Asylum: H.P Lovecraft on record, that is how one could describe Nox Arcana. This music would be fitting as background music in a haunted house or your next eerie Halloween party, this is not for the faint of heart! Bleak piano, brooding strings, ominious choirs and dissonant organs are some of the sinister sounds you will hear on this album. 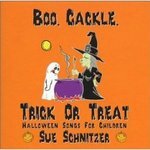 Sue Schnitzer - Boo, Cackle, Trick or Treat: A fantastic and folky compilation of Halloween standards with the help of some very talented children! Sue Schnitzer really delivers with this release, featuring her interpretation of Your Bones, Five Little Pumpkins and others in this 17 track Halloween release. 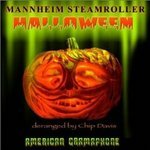 Mannheim Steamroller - Halloween: Chock full of classical numbers, with a spooky edge. Besides renditions of Bach and The Twilight Zone theme song, Chip Davis also composed a few original for this album which turned out to be fantastically eerie. Pick this album up if you're looking for orchesteral music with a Halloween spin! 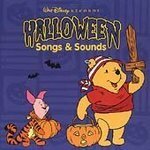 Disney - Halloween Songs & Sounds: This is the perfect album to play at a children's Halloween party, it's very cute and light music. Anything featuring guest appearances from Goofy, Tigger, and Mickey Mouse, you just know is going to be a hit with the kids! 12 tracks of good hearted fun, pick it up today and make your next party a hit! 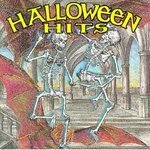 Halloween Hits: An awesome compilation of some of your favorite Halloween songs, including Attack of the Killer Tomatoes and I Put a Spell on You. This one is perfect for the whole family, it features the original artists performing their own songs and they still sound as great as ever! 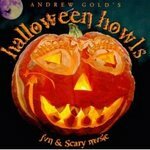 Andrew Gold - Halloween Howls: Another can't-go-wrong Halloween collecton, featuring some famous artists such as Linda Ronstadt and Davis Cassidy, plus a couple of lesser known artists. Nothing new here as far as song selection goes, but who doesn't like The Addams Family theme song and Ghostbusters?! 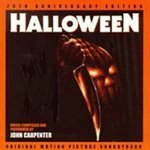 Halloween Soundtrack: Does this really need an introduction? This is one of the scariest soundtracks from one of the scariest movies of all time featuring 28 tracks of pure fear. It's mainly just simple rhythms with sparse arrangements composed by the director of the film, but something about it makes everyone's spine tingle. 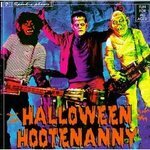 Halloween Hootenanny: Created by horror-master Rob Zombie, this album might be the most fun Halloween compilation ever made! Reverend Horton Heat, Rocket from the Crypt, and Souther Culture on the Skids all contribute awesome covers and provide tons of variety to the album. For fans of rockabilly, surf and just plain fun! 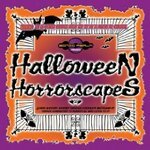 Sonic Realm - Halloween Horrorscapes: Now this is REAL Halloween music that is sure to have your blood curdling. The whole album flows like one continuous nightmare that will not end, featuring sound effects and ambiance that would be perfect for a haunted house. Put it on and let it play, this is meant to be listened to from start to finish. Rob Shakked - Very Scary Music: Classic Horror Themes: You know what you're getting with this album, classic horror themes, and they're all here. 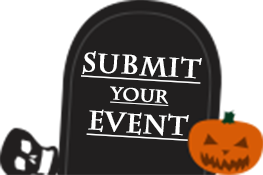 The theme songs to The Exorcist, Twilight Zone and Jaws are all included, plus tons more that will be sure to scare the pants off of you. 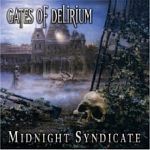 Midnight Syndicate - Gates of Delirium: This is another Halloween soundscape album, more of an experience than a musical album. Some people have called this a masterpiece of the genre, you be the judge. It's a very intense listen, so you might want to think twice about playing this one for children.